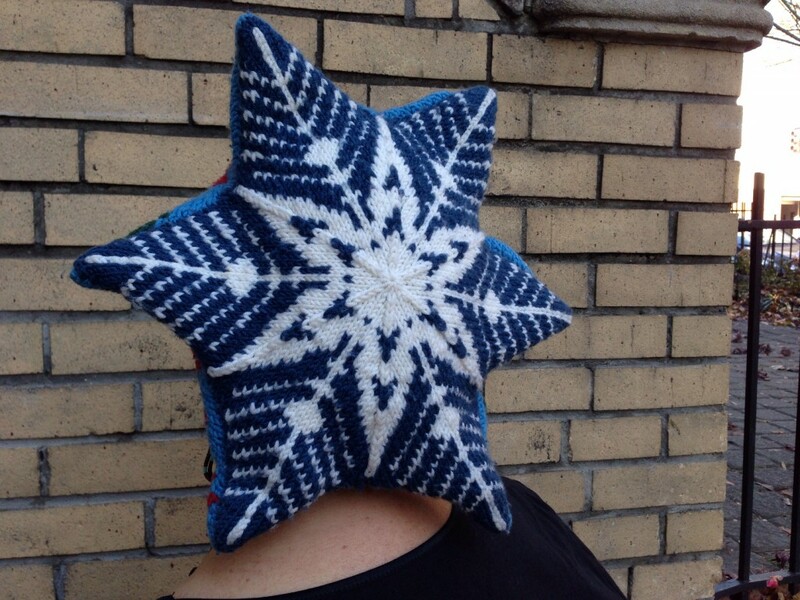 This unique six pointed beret decorated with a Fair Isle knit snowflake design has been a conversation starter, and my primary Holiday decoration since I designed and first executed it in 1998. That holiday season TKGA was enlisted by the Clinton White House to solicit “Winter Wonderland” themed hats to decorate the Christmas Tree in the White House’s Blue Room. I often forget I am wearing it, and joyfully return the by-passer’s holiday smiles, only to realize later that they were smiling at my hat. I had been pondering the concept of a beret with 6 points that would have a snow flake shape. The TKGA invitation set the needles flying. 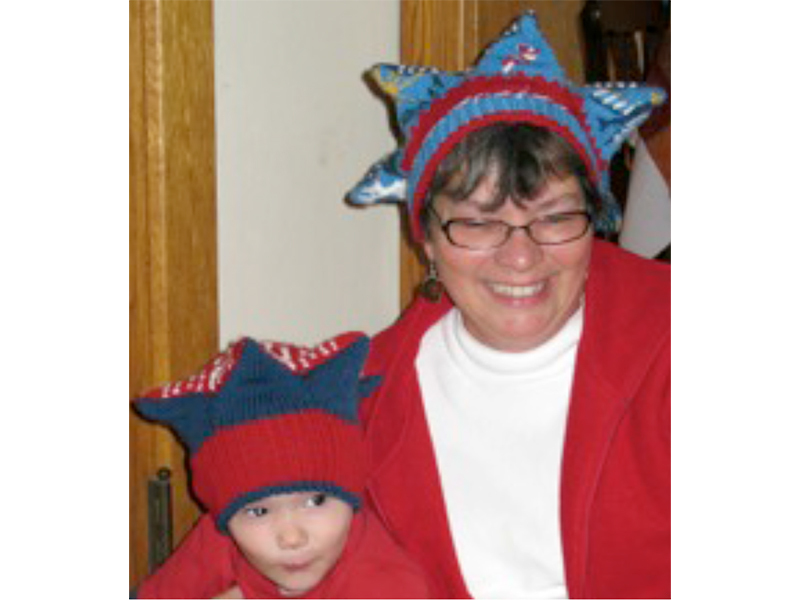 My hat was selected by my local guild, Pointe Knitters, for display at the White House and eventual archiving. I quickly knitted a second one for the tree, so i could enjoy the original. Amazingly, I received an invitation and tickets to visit the festively decorated White House to view my hat, (and over 300 others) decking the tree, along with snowmen, sleds, giant bulbs, strings of beads, and more. I wore the original hat for our family picture in the State Dining Room. The ultimate irony of this visit occurred during our same day trip to Capitol Hill after we left the White House. We had gallery seats to witness Congress vote to impeach the occupant of the White House, President Bill Clinton, who had just hosted us. Whenever someone observes that the six pointed shape of the beret reminds them of the Statue of Liberty’s crown, I turn 180 degrees so that the snowflake comes into view, and comment, “no, I’m just a little flakey . 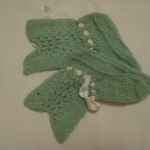 . . ” We all laugh, and folks think more highly of the creative art of knitting after the encounter. Although I completed original the hat, in 1998, I have never offered the design to anyone for publication, notwithstanding countless requests to do so. I offered it up for Vogue’s Ultimate Knitted Hat book, which struck me as the ultimate destination for this one of a kind design, but alas, it remains unpublished. I chose the colors red, white, and blue – both for a patriotic theme, as well as a great palate for a “Winter Wonderland. 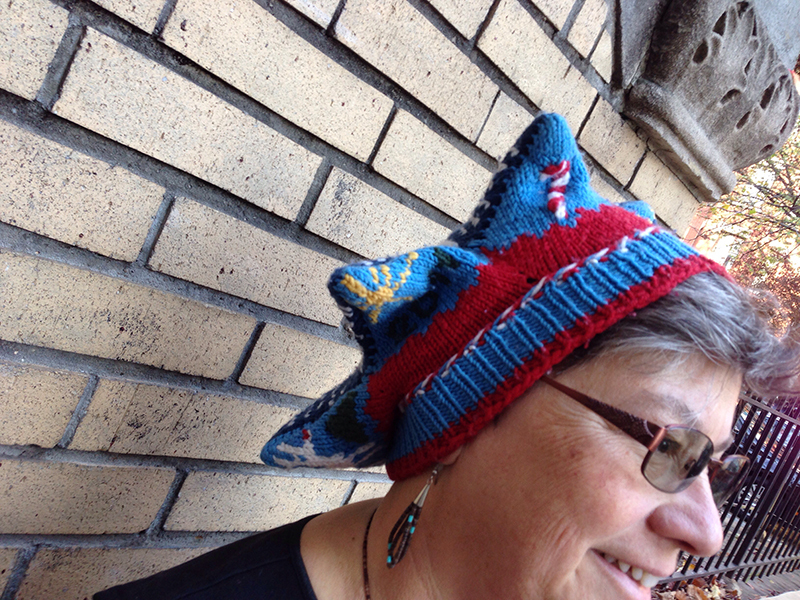 I worked the hat in DK (#3) yarn on US 4 (3.5 mm) circular and double point needles. The hat begins with a provisional cast-on of 90 stitches and grows with 6 double increase points evenly spaced until the stitch count reaches 150 stitches. 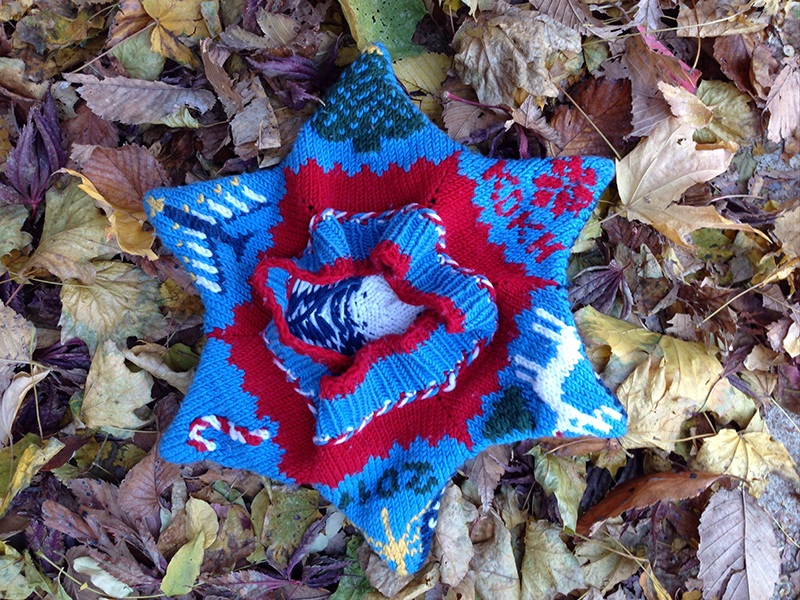 Then each increase section of 25 stitches is worked in short rows, with a separate holiday motif knitted in. I chose a Christmas tree, Christmas rose with my initials, Christmas star with date, Rudolf – red nose and all, candy cane and a menorah for Chanukah. 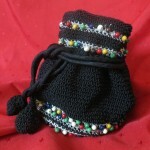 (I am a purist – designs could also be added by duplicate stitch later). When all of the points have been completed, the waiting stitches left after the short rows remain on the needle. Each point is again worked in short rows from the tip toward the center until all the open, turned stitches are consumed. At the same time I started the snowflake fair isle patterning ion each tip. When all the short rows have been completed, the snowflake pattern continues with the double decrease points every other round aligned with the 6 arms of a snowflake. When the crown was complete, I returned to the provisional cast-on. To complete the technical tour-de-force I worked one round with a three color decorative braid stitch as the transition round, and completed the beret with knit one, purl one bind-off. My 3 year old grandson was so taken with the hat, that he asked for one of his own. In preparation for this holiday season, I’m casting one on for his 2 year old sister.